We've said earlier this month that Samsung could announce the Gear Fit 2 sometime soon, as early as next month (June), but we now have new photos that confirm the old ones and show the device in new colors that will debut with the fitness band's announcement. 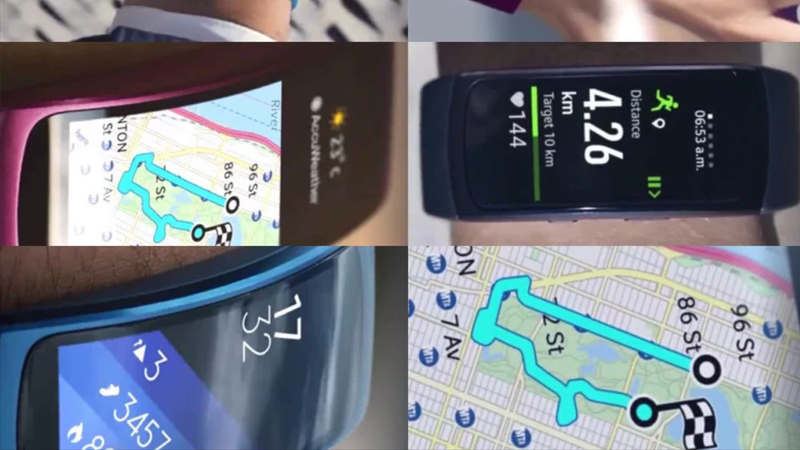 New photos leaked by Tizen Cafe show the device in violet (pink/purple), black, and blue colors, which matches the colors that leaked earlier, with the words "Gear Fit2" beside it (notice that "Fit" and "2" are close together, reminiscent of the "Galaxy Note5" announced last Fall), signaling that Samsung may market the word "Fit" and "2" close together rather than separated when the Korean giant announces the fitness band in June. We don't have any other confirmations about the device, though Android Authority says that the device will have a 1.84-inch display. Since Samsung has mastered the use of Super AMOLED displays, we can presume that an AMOLED panel will return to the Gear Fit 2. 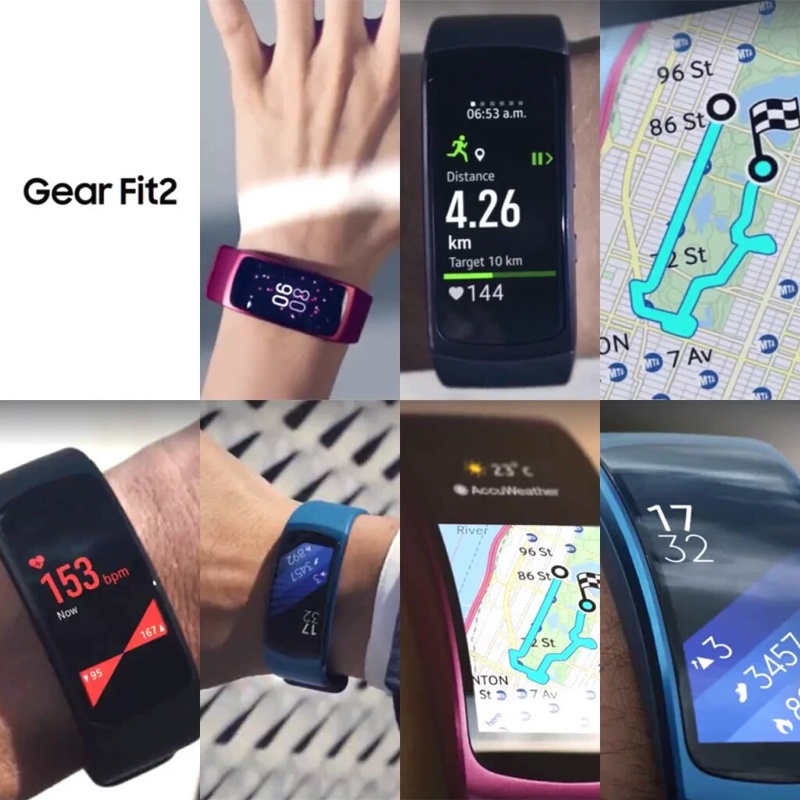 The first-generation Gear Fit had Bluetooth notifications, and we presume these will return, but the second-generation Gear Fit will be the first device in the world to feature Samsung's own homegrown bio-processor that tracks more than the usual metrics for personal fitness. Tizen Cafe says that "June sales" will come, so expect the Gear Fit 2 to be announced and arrive in June.